Viun is a dance performance that is situated in an interactive media-rich installation space of light, sound, and architectural fixtures, where dancers, as well as the audience, can condition the space with their actions and movement. 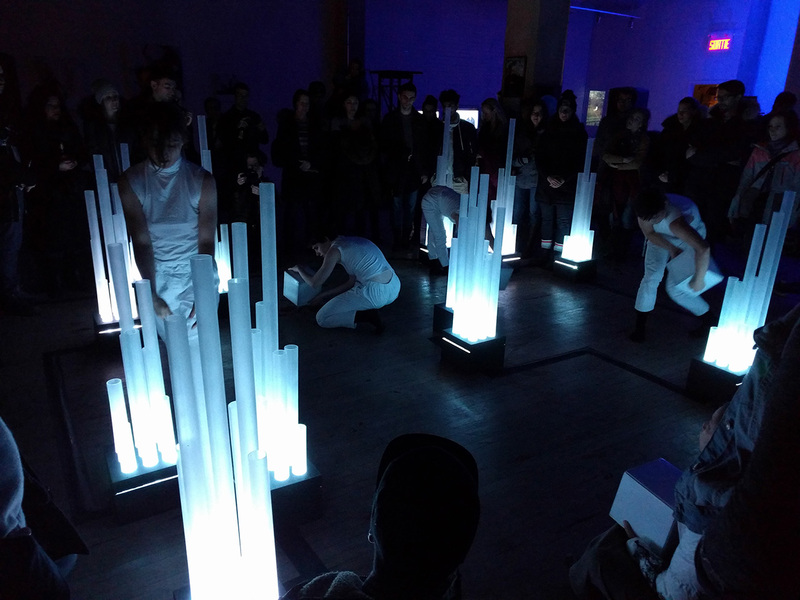 When Viun is performed, the computational lights and sounds are choreographed and responsive to the temporal structure of the dance, the movement of the dancers, and to the sonic changes of the performance soundscape. 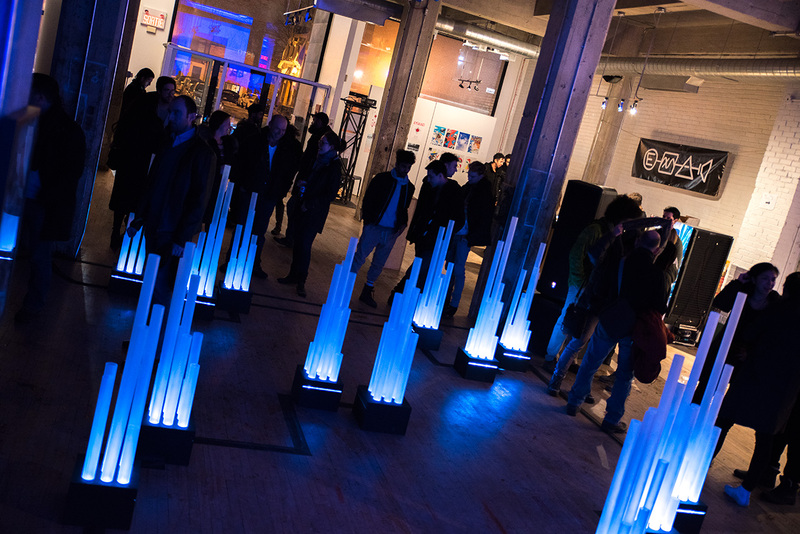 When presented as a pure installation, the lights are responsive to the local movement of the audience in the interactive space. 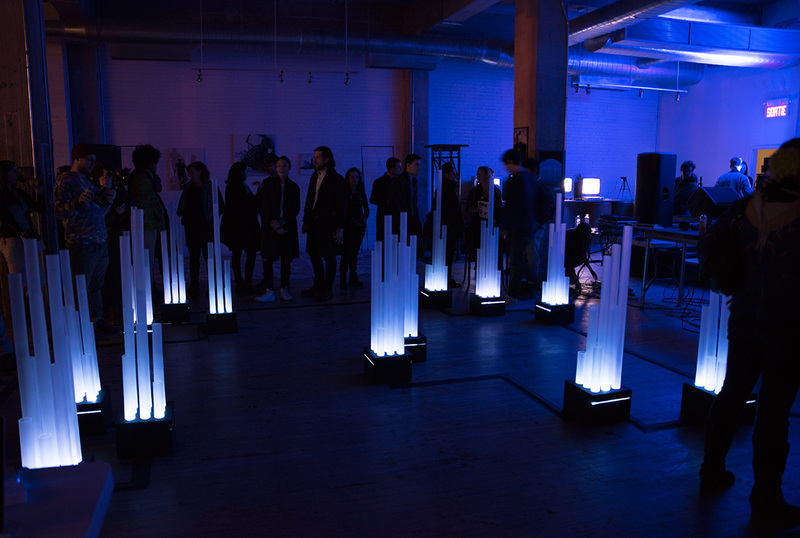 The two modes of Viun (performance / installation) are not distinct or mutually exclusive, for the space is conditioned to run in a multi-state computational mode that changes behaviour with a simple switch of a button.